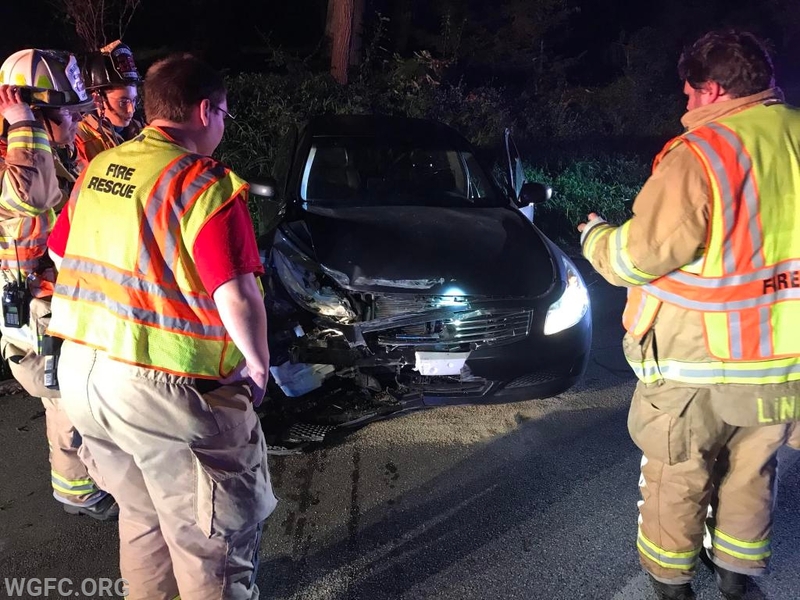 Just before midnight on September 2, the West Grove Fire Company handled an auto accident call on Old Baltimore Pike in London Grove Township, east of West Grove borough. 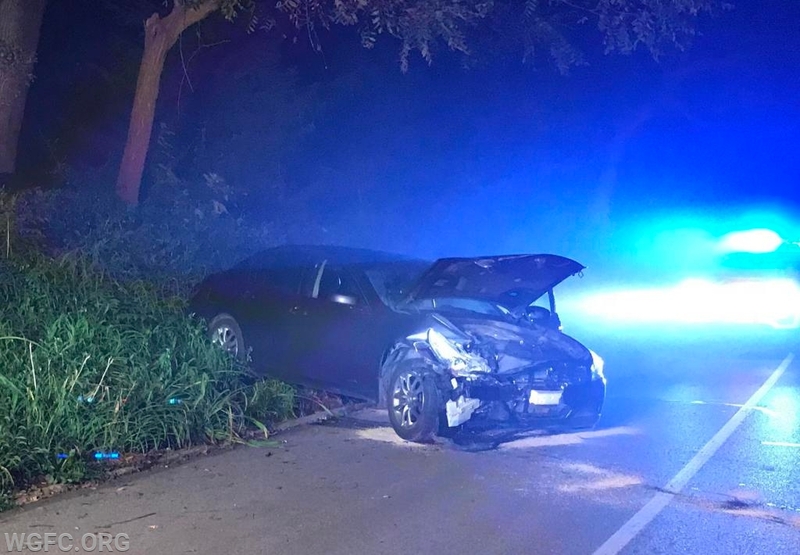 A car swerved to avoid a fallen tree and crashed. WGFC units responded, including Engine 22-1, Rescue 22, Ambulance 22-1, and Utility 22. Crews found a car crashed into a guardrail, with a lone occupant. The patient was evaluated and transported to the Jennersville Hospital. During the call, a second EMS call was received and crews from Utility 22 responded to assist. This car struck a guardrail on Old Baltimore Pike. WGFC crews handled this one car crash near West Grove.